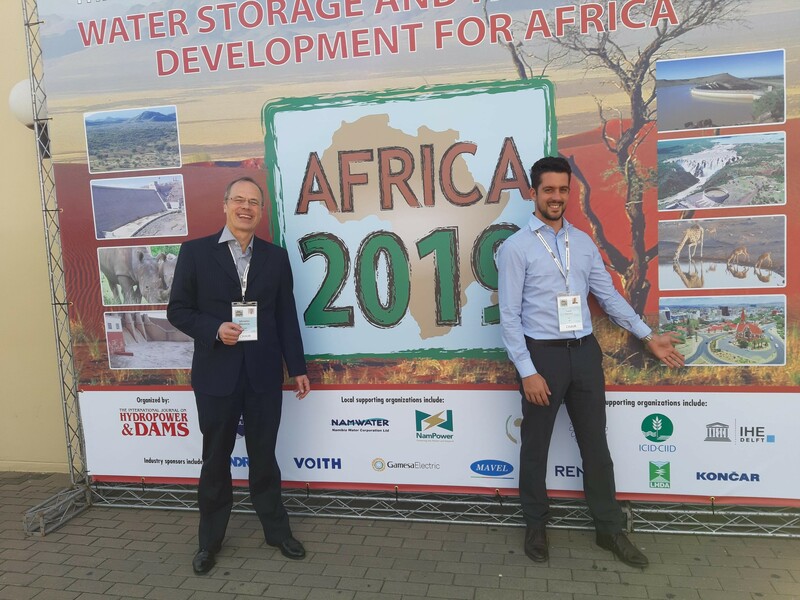 From 2 to 4 April, IHE Delft was present at AFRICA 2019 - Hydropower and Dams Conference. IHE Delft organised and hosted a session on “Sustainable water storage to meet water, food and energy development goals”. The session was chaired by Miroslav Marence and Luca Ferrini (GIZ Niger). Storage to stabilize water availability is essential to sustain water, food and energy production, reduce hazards, and adapt to climate change. Regulation of water resources using dams and reservoirs played a major role in the socio-economic development of northern countries during the 20th century, but practices of the time often led to undesired environmental and social impacts. More dams and reservoirs are planned for the next decades, and there is a concern that such impacts could be repeated. Analysis of, and debate on, the approaches to sustainable multipurpose storage, definition of environmental flows, sedimentary management, ecology continuity, and socio -economic, among others, is needed. Targeted development outcomes include improved catchment management for water, food, and energy security that is socially and environmentally sustainable, contributing to the Sustainable Development Goals Agenda 2030. Sediment management is a topic that concerns operation (reduction of operational reservoir volume), and must be included in the design of new dams. We should strive to achieve continuous sediment extraction and reducing the influence on the downstream part of river. Involving local knowledge from the earliest stages of dam conception, design and operation has significant benefits for reducing vulnerability to climate change, particularly for nature based societies. Bodies of knowledge based on local experience on the project site can significantly enhance water, food and energy security for the local populations and facilitate local ownership of the project, smooth displacement and strengthened adaptation capacity. Environmental flow has to satisfy different criteria and is mostly defined on the project level, with specifics of the country, species involved and conditions in the river, but also has to consider the project’s water use. Including all affected stakeholders in the definition of the environmental flow, will reduce tensions and also increase the likelihood of the project’s acceptance. With regards to size and scale, the small and mini hydro can also achieve significant successes, particularly in rural areas. Benefits at village level have direct impact on poverty. Higher relative costs of production and low generated capacity have to be considered. Also these structures have to be developed and operated based on principles of sustainability, considering environmental, social and economic factors.